It's easily one of the freshest, sharpest and most enjoyable films of this year. The movie is made so realistic it has a lot of that WoW feeling at the right moments and never tooo over the top. the suspense is done so well and the emotion is felt. Very well put together with the music and all. This film speaks to the genius of Al Pacino. Where an ordinary actor, or in his case film icon, would dictate his life story to a writer or simply write a book, in staying true to his magnitude as an actor and being the true artist that he is, he decides to sum up parts of his life, make into a film with extreme highs and lows obviously. Yes, it is an adaptation of a novel, but adapted into a script that Pacino can speak through and put his stamp on. Am I talking out of thin air? No! 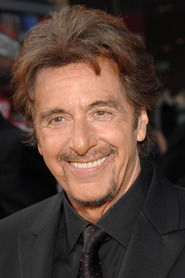 I was fortunate enough to see a screening of it where Al Pacino spoke afterwards, and he himself said it was somewhat autobiographical, and that's the way I felt when I was watching the film, and that it took about a year to write the script, or adapt it into the film, so it was wonderful to hear him confirm that "autobiographical part". I think he may continue to make films like this for a while, that he can speak about his own life through, his true fans will appreciate it, and it will be a part of his legacy as an actor. Good for him!It's brilliantly funny, and it's for the intellectual palate, it's not your typical Hollywood comedy with silly fart jokes, this is humor with sophistication, humor that actually titillates your brain. It's also low budget, don't expect explosions and cgi, this is an actor's film. For people who love good acting and an intricate story. His acting in it is superb, this is my personal favorite performance of his. You get a window into his intellect, his personal thoughts on acting all through this character. At the end you come out knowing this man is only interested in one thing, the truth in his work, and being truthful in it. When the film opened, I said to myself "oh, this is similar to Birman," (which I thought was just okay) but as it progressed, I realized there was no comparisons and all of the accolades that film got, The Humbling deserved and I personally loved it. They're similar except this is a million times better, you actually get what it's about and it's not abstract for the sake of being abstract with fancy camera tricks to distract you from a fragmented story. Yes there are so many partisan reviews promoting self-interest and bashing good films that deserve a chance. I urge everyone who loves Pacino or has loved any film he's been in prior to see this film. Oy what a mess. I rented this because the little bit of info presented by Netflix sounded interesting and with Al Pacino I figured who can go wrong. As I understand other reviews, hes had some bombs recently, but I figured this cant stink because I'M watching it. Boy was I wrong. The whole thing is a big fat bore from the man who brought me Michael Corleone or Dog Day Afternoon. Al whats happened to thee? I also figured with Barry Levinson involved.it would be at least good. It has a good cast in the lesbian girl, Weist, Hedaya,Grodin accompanying Al. Nothing saves it, its pretentious windbag of a story, we have seen before. Its so deep and seminal, its NOT. It's a wonder this film was ever made. 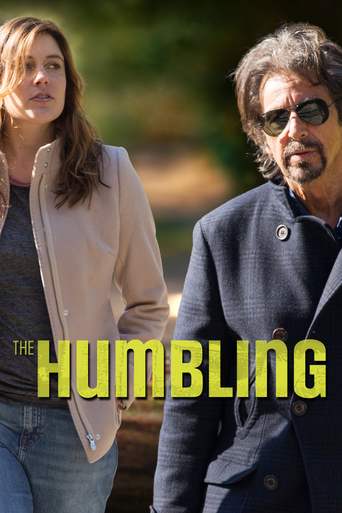 The iconic and prolific author Philip Roth wrote the novel of the same name, 'The Humbling' this movie is based on. It was his 30th book and was met with a lot of negative reviews, most of which said that it was a lazy and terrible piece of work from a writer who goes for quantity over quality. But the film has its merits and becomes quite a good, if not funny film in the second half. It just takes a little bit to get there. 'The Humbling' is eerily similar to the recent 'Birdman' film that starred Michael Keaton. Both movies center around an aging beloved actor who is trying to make their comeback on stage at the theatre. Each central character may or may not be going crazy. There are even similar scenes where the central character from both films are locked out of the theatre while their play is going on, and a few scenes where they are having conversations with versions of themselves in front of mirrors.But what 'The Humbling' has that 'Birdman' does not have, is a heavy emphasis on the sexual comedy of an older man (Al Pacino) and a twenty-something lesbian woman (Greta Gerwig). It plays out like some sort of Woody Allen film from the early 90s in with each of these wacky characters trying to interact with each other. And director Barry Levinson ('Good Morning Vietnam', 'Rain Man') proves at age 72 that he still has a stylistic eye and hasn't lost his step. 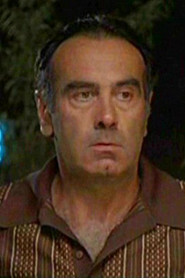 Pacino plays Simon Axler, an award winning and wealthy actor who has been in numerous film, but is mostly known for his work with Shakespeare on the big stage. The first scene shows that he is completely drunk before he is supposed to go perform, where he hurls himself off stage in to the orchestra pit.After that unfortunate business and a mismanaged suicide attempt, Simon ends up in a nice rehab center, where he discusses his career and acting with the other patients. Soon enough, Simon is released from rehab, but on the condition that he interacts via Skype with his psychiatrist (Dylan Baker), which plays to a hilarious effect. Simon moves back into his luxurious estate by himself and is visited by a young woman named Pegeen (Greta Gerwig), whom he last saw when she was only 10 years old. 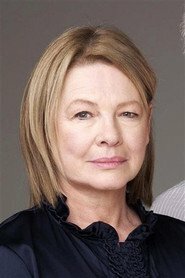 Pegeen's mother (Dianne Wiest) and Simon were old theatre buddies and actors in their younger days. Pegeen is a fun girl-next-door type of beautiful, and let's everyone know she is a lesbian, but for some reason throws herself at Simon, saying the lesbian thing was a 16-year long mistake.This new relationship with many years in between the two now lovers have angered a few of Pegeen's previous lovers including her boss (Kyra Sedgwick) and former post-op ex-girlfriend who goes by Prince (Billy Porter). From here, the film becomes increasingly better as more kooky characters show up at Simon's doorstep, as he talks incessantly to anyone who will listen about his new relationship and acting abilities. It's quite funny with probably the best and funniest scene involving Simon and Pegeen's parents at a veterinary clinic where Simon is under the heavy influence of heavy duty tranquilizers. You've never seen Al Pacino this funny.Gerwig is wonderful in this role. She pulls you in with her charm and wit and still root for her when she makes bad choices. And of course, Pacino is brilliant in each scene. There is no over-the-top yelling from him, but rather an inconsistent, rambling of narration about his life. His struggle to figure out what his new relationship means with a possible onset of some rather debilitating diseases that effect the elderly is perfectly crafted by Pacino. And again, despite his age, he is still on top of his game. 'The Humbling' is the budget 'Birdman', but without all of the symbolism, imagery, and magical realism. It's a slow burn film that works best when Pacino is around his co-stars. Al was broken, penniless and decided to shoot the worst movie of his life to keep buying stuff for his much younger lover, it is not worth seeing this movie. Is an awful copy of Bird man. Bad acting amidst a worst script. There is a serious mental illness in the movie the one that suffer the guy who wrote the script. In the movie there is an actor too old to play that make every body miserable, Al is the actor and the audience that is to say we are made miserable. Save your many and go see some thing else. I would like to tell you some thing else but I cannot, there is a heated pool in winter in Connecticut, and a girl from Baywatch swimming in it. There is a also ghost from some Shakespeare play that rumbles the story aimlessly without propose nor reason.